“When Horror Came to Shochiku,” a four-DVD box set released under the Criterion Collection’s “Eclipse” imprint in 2012, is quite possibly the weirdest and coolest release by this venerable, taste-making video-distribution company. It’s a collection of oddball exploitation/horror movies from Shochiku, one of the oldest and most storied of all Japanese film studios. I haven’t yet watched all four films (though I’m especially looking forward to Goke, Body Snatcher From Hell), but did just spend an evening with The Living Skeleton, directed by Hiroshi Matsuno in 1968. Probably the best thing about the Criterion Collection is that it’s not snobbish. Sure, it has released fancy-pants versions of “artsy” films by Robert Bresson and Michelangelo Antonioni, but, especially with its marvelous Eclipse series, it’s branched out into all kinds of historically important films that did not necessarily receive the imprimatur of critical approval. (That said: If you don’t appreciate Bresson or Antonioni, then I think you don’t like film very much.) 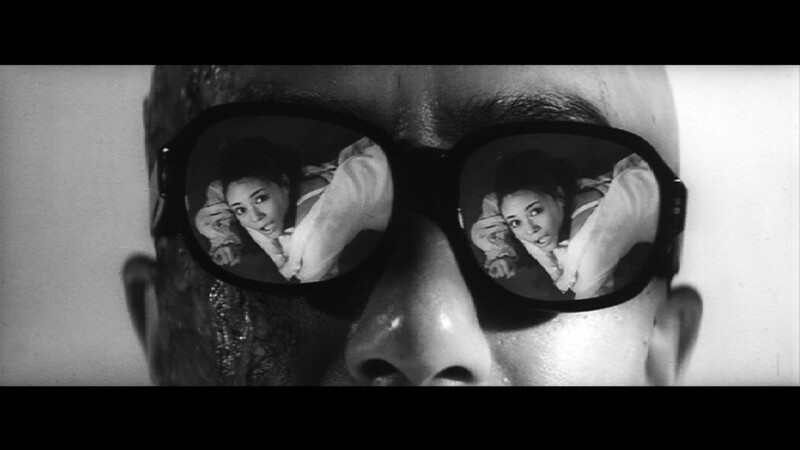 The films of “When Horror Came to Shochiku” never showed up on any film critic’s 10-best list. Good for Criterion, I say. The company has achieved sufficient acclaim that it is able to take some unlikely chances — a situation akin to when a “name” actor such as Brad Pitt takes a smaller salary to appear in a “chancy,” semi-independent film like The Assassination of Jesse James by the Coward Robert Ford. Neither Pitt nor Criterion has anything to lose from such a move. The thing is, though, that the exploitation flicks in this and other Eclipse box sets are pretty well made. These might be examples of “low” art, but, when Criterion shines its light on the films, the company effectively legitimizes them and renounces the very idea of such critical hierarchies — which are, after all, arbitrary. Fans of cheesy movies win, too, because they are “permitted” to enjoy the films both seriously and ironically. Fandom is a complex beast. The tension between “high art” and “low art” is palpable in The Living Skeleton. On one hand, it’s the hoariest of genre films; on the other, the cinematography is terrific. So there’s something for everyone! The story of The Living Skeleton is similar to the stories in both the 1943 and the 2002 films that bear the title (The) Ghost Ship: Murderous atrocities are committed on a seagoing vessel, and then, years later, a ghostly version of that vessel reappears and bloodthirsty phantoms exact their revenge by visiting horrors on the still-living perpetrators. I’m a big fan of the 2002 Ghost Ship, which I think is a nifty little underrated slice of tension and horror. (It also boasts a terrific and unforgettable first scene.) But the 1943 film parallels The Living Skeleton more closely. That film, directed by Mark Robson, is actually better known for bearing the signature style of its producer, Val Lewton. 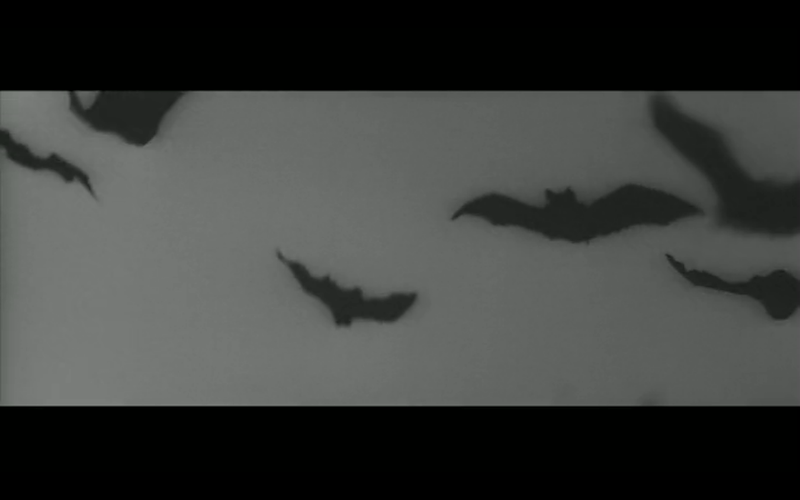 Like Lewton, Matsuno clearly favors shadows and eeriness over shocks and horrors. I’m all for a good scare, but I’d much rather dive into the shadowy strangeness of these filmmakers' approach. Just as Lewton does, Matsuno uses his small budget to his advantage. Can’t afford to pay many actors? Pay one (Kikko Matsuoka) to play two roles, and craft a weird story about twin sisters and doppelgängers. Can’t afford costly monsters and special effects? Simply use a wig and a pair of glasses to conceal the identity of a key character, the better to spring on the viewer a late-film shocker. Cheapness itself may not be a virtue (viz. the film’s corny plastic bats that show up every five minutes, as well as the disproportionate, plastic, suboceanic skeletons that freak out our protagonists), but by and large, Matsuno should be praised for not letting cheapness get the better of him. Another cheap way to distinguish a film is to have a talented cinematographer shoot it in a widescreen format. The Living Skeleton was shot by Masayuki Kato, about whom I know next to nothing. His filmography is small, and I’ve never seen any of his other work. But someone should have given this guy a position of cinematographic prominence, if The Living Skeleton is representative of his skills. At times the film, in its stark use of contrast, reminded me of Night of the Iguana, shot by the peerless Gabriel Figueroa. There’s very little gray in the images of The Living Skeleton. Most everything is either richly saturated blacks or nearly blown-out whites. And while I think it’s going a little too far to say that starkness reflects the simple oppositions (good/bad, living/dead) of the film’s story, it’s true that the film’s simple narrative is nicely reflected in its uncomplicated visual style. If there’s a hero in this humble essay, it’s the Criterion Collection, not necessarily Hiroshi Matsuna or Masayuki Kato, or even the floppy plastic bats. The implicit message of the “Horror Comes to Shochiku” box set is that good films exist at all strata of all industries, and that they’re worth seeking out. You might have to wade through a lot of dross to find them, but they’re there. The great majority of films are unknown to the great majority of viewers. It’s always a delight to be introduced to a hidden gem. And, much as I enjoyed The Living Skeleton, there are better skeleton-themed films. Since the internet allows me to do so, I include a link to the greatest skeleton movie of them all: Walt Disney's brilliant and massively influential 1929 film Skeleton Dance. Why Don't We Remember This Film for Its Director?